How about a marriage of buckwheat noodles and sake? 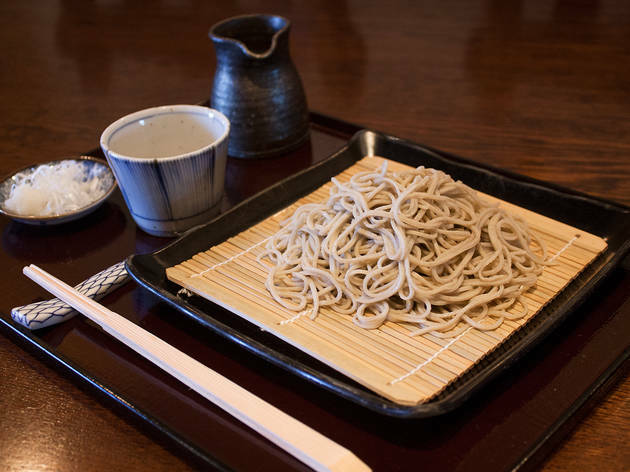 The soba at Genan is handmade and the buckwheat flour used includes a strong but sweet-tasting variety called ‘Hitachi Autumn'. 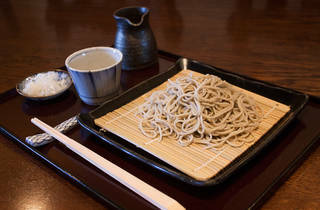 We recommend the Juwari Soba (¥980), an aromatic creation served with resilient noodles and crisp, modestly sweet soup.